You can use AFerry to book a Hellenic Seaways ferry to most of the important Greek islands. Please note, however, that many routes are only available in the summer. Hellenic Seaways is one of the most popular and well known Greek ferry companies and has one of the largest fleets of vessels in Greece. AFerry always has cheap prices for Hellenic Seaways and the latest special offers. Please note that Hellenic Seaways does not operate a full schedule outside of the summer months. In particular, it is usually not possible to book routes to the Cyclades islands such as Santorini and Mykonos. Hellenic Seaways fleet currently consists of 34 ships. 15 conventional ferries and 19 high-speed vessels. 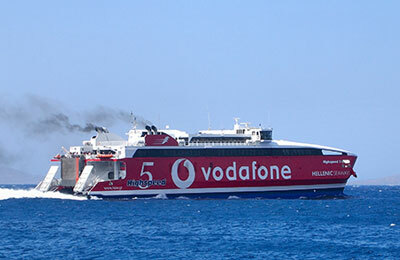 Hellenic Seaways' fleet of fast vessels, Highspeed numbers 4 to 5 and the Hellenic Wind are able to reduce journey times over conventional ferries by up to 50%. There are also six flying-cat vessels for destinations in the Cyclades, Sporades and Saronic islands. These high speed catamaran type vessels offer a comfortable, fast and luxurious trip and normally carry between approximately 300 and 500 passengers. On some shorter routes in the summer, flying dolphin ships are also provided. These ships normally consist of one large seating area with aeroplane style seating. A snack bar is often provided, but the short journeys mean there is no need for extensive facilities. Hellenic Seaways' fleet of 10 conventional ferries not only help tourism in the Greek islands but are also essential to the economies of the islands going to over 25 ports. As well as a range of cabins, the ferries offer the latest features such as restaurants, shops and sun-decks. Some ferries also have swimming pools which can be used in the summer months. These modern ships typically can also carry vehicles and carry between approximately 1,300 and 1,900 passengers. 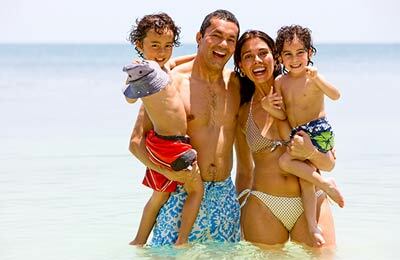 Whether you take the Hellenic Seaways Piraeus Santorini route, the Hellenic Seaways Piraeus Mykonos ferry, or any other Hellenic Seaways route, you are certain to have a wonderful journey with this popular and well known ferry company. How long before departure should I arrive for Hellenic Seaways?